Roughly 40 million Americans have chronic sleep problems, with 20 million having occasional issues with sleep. Having trouble falling asleep and/or staying asleep is frustrating to say the least, and can negatively affect nearly every other aspect of life. A good night’s sleep is vital to maintain physical health and mental well-being, so addressing issues concerning sleep are a top priority. While many may resort to using medications for sleep, whether prescription or over-the-counter, there are also other options. Sleep hypnosis is a common option and can be used along with medication or on its own. Majority of sleep hypnosis comes in the form of guided meditations designed to help lull listeners into relaxation, which in turn helps them fall asleep more quickly. Contrary to some beliefs, hypnosis is not a scary thing and sleep hypnosis can be equally or more effective at helping some fall asleep than medication. With advances in today’s technology and the reliance on our smartphones, you can easily access sleep hypnosis apps through your phone’s app store. This allows you to easily find meditation or sound tracks to help you fall asleep and sometimes even track sleep quality. 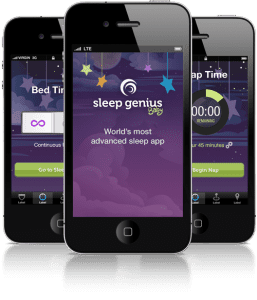 If you’re tired of sleepless nights here are 5 different sleep hypnosis apps that may help you falling asleep more quickly and stay asleep for the whole night. takes a unique approach to hypnosis and guided meditation with their app, which has a number of different “digital pills” available to listeners. These digital pills each have their own purpose, and for those experiencing sleep issues the Ease Anxiety and Prevent Insomnia pills are the best choice naturally. In these categories, you’ll find pills called Sanctuary (reduces anxiety), Sleep Deeply (helps you fall asleep), and some even find that Trance Tripping (subconscious exploration) to help with sleep or achieve enough relaxation to fall asleep. If you are into mind hacking in all aspects of life you’ll also find other pills for that which makes this app quite versatile. Each digital pill uses psychoacoustics to achieve the desired response, rather than relying on binaural beats or other audio tricks that other apps use. Each pill has been carefully created by Brian Colbert, a internationally known psychotherapist and master trainer of NLP. Glenn Harrold is a renowned self-help audio author whose soothing voice has helped over 3 million people achieve better sleep and reduce the stress in their lives that contribute to poor sleep. 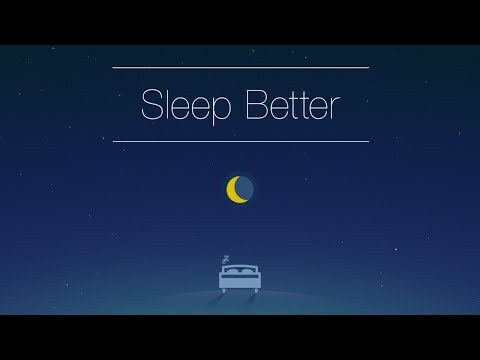 His Relax & Sleep Well app is available on all major phone app stores as well as Amazon, which makes it easily accessible by essentially anyone. 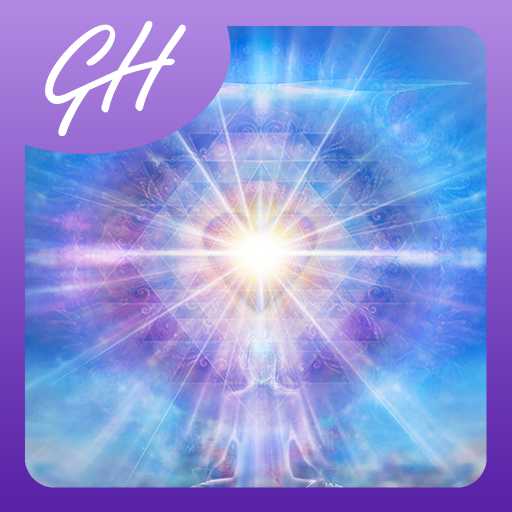 This app comes with a total of 80+ hypnosis and/or meditation audio tracks, 4 of which come free with the download of the app. The free apps include the popular ‘Relax & Sleep Well’ tracks with endings that either leave you asleep or awake. These tracks are 29 minutes long and seem to work extremely well for a wide range of people. The other two tracks can also help with sleep by de-stressing you prior to bedtime. The names of these are ‘Solfeggio Sonic Meditation’ and ‘Mindfulness for Anxiety’. Each track is super high-quality audio, including a stereo experience with sounds panning from ear to ear. Many find that these tracks seem to more effective than most scripts and seem to work consistently night after night, something some meditations or sleep hypnosis fails to do. Mindifi LLC has a number of different hypnosis therapy apps on iOS and Android platforms, with their Deep Sleep and Relaxation Hypnosis being one of their most popular. Roughly 2 million people listen to Mindifi soundtracks and the Deep Sleep track is one of the most successful based on the number of great reviews for it left by users. Their Deep Sleep and Relaxation Hypnosis is designed for people who have trouble falling asleep because they feel unable to completely relax. It also works for those that feel sleep deprived or can fall asleep but feel that they wake up due to sleep disturbances. This app includes 11 different separate audio tracks for sleep including, Sleep Like a Baby, Disarming Nightmares, Falling Back ASleep, Insomnia Relief and Snore No More. Each audio track uses a multi-media approach, meaning each track includes guided hypnosis, complimenting sound and audio effects (including music), and even visuals on the app if you find you’re someone that enjoys seeing visuals to help you fall asleep. Most users find that the guided tracks are scripted very well and are effective enough to use for multiples nights in a row without losing effect. While Mindifi doesn’t state who the voice actor for the tracks are, even picky listeners find that the person’s tone is soft and soothing enough to lull them into relaxation time and time again. There are some people that find traditional sleep hypnosis in the form of guided meditation can be distracting, causing the opposite effect. Other listeners can be very sensitive to certain voices and may find that few speakers in guided meditation work for them. If you fall into this category and find that normal noise-inducing sleep tracks don’t work then consider Sleep Genius. Sleep, Power Nap, Revive Cycle Alarm and Relaxation Program. Sleep, Power Nap and Revive Cycle Alarm all have to do with tracking sleep or naps while the Relaxation Program is used to help induce sleep. The Sleep Genius approach to sleep hypnosis focuses on calming the mind and body by using modified music rather than guided approach with a voice actor. This program works by reducing the anxiety that prohibits sleep and, once asleep, helps keep you asleep. The modified music tracks used work best with earbuds or headphones that are comfortable to sleep with. The track will help you relax and invite sleep by reducing heart rate and respiration. You can use this track in bed right before sleep with excellent results or it can be used to help with naps or during the daytime when you’re struggling to relax after a stressful event takes place. Another hypnotherapist whose voice seems widely soothing is Darren Marks. Darren Marks is a certified hypnotherapist located in the UK, yet is known internationally for his effective guided scripts and techniques. His app, Sleep Deeply, is glowing reviews from all around the world and has been featured in publications like Yoga Magazine. Each relaxation track works by helping the users remove negative thoughts, enter a state of relaxation and eventually fall asleep. You will primarily hear Darren’s voice guiding you through the process but there are also non-verbal sounds to help. Each track is really supposed to feel like a live session with Mr. Marks. The app even has video FAQs and audio explanations to help the listener first understand what is going to happen and how they can better experience sleep hypnosis for maximum effect. Like other sleep therapy apps, this app comes with multiple tracks which include choices like Relax Completely hypnosis, Sleep Deeply hypnosis, Release Limiting Decisions hypnosis or a simple Pink Theta wave calm sounds session with no hypnosis. While these sleep hypnosis apps are some of the best it may take some time listening to each before you find the right one for you. Also, if you are experiencing sleepless nights on a regular basis you should always consult your doctor before resorting to over-the-counter sleep medications or sleep hypnosis. Trouble falling or staying could be due to anything from simple stress at work to serious underlying health conditions. Since a consistent lack of sleep can seriously impact your health negatively it is paramount to see your doctor as soon as you realize something is wrong. Novaform vs Tempur-Pedic – What’s the Difference?